The Binary IQ System makes some bold claims in its marketing pitch. These include the claim that its signal system is verified and proven. It also guarantees that you will win 80 percent of your trades, regardless of whether you have binary options trading experience. They claim this is true because they have expert binary option traders who make it easy to succeed. In addition, they charge a fairly hefty sum for a license for their app – $169.99. Of course, hefty is relative, because if their claims about becoming a successful binary options trader are true, you could easily earn back the cost of the license. The big question is: are their claims true? That’s worth further investigation. Unfortunately, we can’t give much information in this section as Binary IQ System is not at all transparent about who is behind the software. There are no company details on the website and nothing that confirms the legitimacy of who they are. This immediately made us cautious – could we be dealing with a scam binary options trader? We looked further into the offering and, in our opinion, it is very similar to the scam Binary Today Secret. Could the people behind that be the same people behind Binary IQ System? Maybe and maybe not, but the similarities between the two platforms are hard to miss. The only real difference we can see between the two is the name. We first looked at Binary IQ System’s claim that it can guarantee that you will make money. That appears to be far-fetched – after all, any respectable binary options trader will tell you that you will lose some of your trades, and no level of profit is guaranteed. We, therefore, turned to Binary IQ System’s Earnings Disclaimer document to find out more. In that document, there are disclaimers that clearly contradict the marketing claims they make on the website. For example, in the disclaimer it says that all the information on the website, within its software, or in any purchased guides is for “educational purposes only”. It goes on to say that the information it provides is not intended to be used as “financial advice”. This begs the question – how can Binary IQ System guarantee you will make money when it is not giving financial advice? In addition, why would someone pay for something which, by the sellers’ own admission, is simply an educational resource? Another line in the Binary IQ System Earnings Disclaimer caught our eye as well. This line states that anything it says about the profits you can expect or the income you might make do “not represent a guarantee”. So, in front of the website they “guarantee” you will win a certain number of trades, then they say that that statement should not actually be taken as a guarantee at all! If you’re confused, there could be a simple explanation – this is a scam. We looked further into the claims made by Binary IQ System in an attempt to get more information and clarity. This time, we looked at the claim that it has “verified trading results”. The obvious question to ask when this statement is made is: verified by whom? We simply don’t have any idea who verified the results claimed by Binary IQ System. We can’t even say that a verification took place. The normal practice by reputable binary option trading platforms is to provide third-party validation of claims, and to publish who the third-party is. None of that information is available on Binary IQ System. 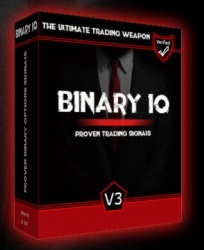 We’ve seen scam binary options trading platforms before, and they looked very similar to Binary IQ System. Claims that the platform can’t back up, and legal disclaimers that completely contradict marketing claims are clear red flags that this binary options platform could be a scam. Verification is an easy word to write, but it is much harder to actually achieve. 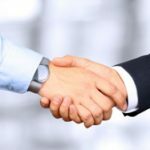 This is because you have to be able to deliver what you promise before going through the process of getting a recognized and respected third party to carry out the verification. 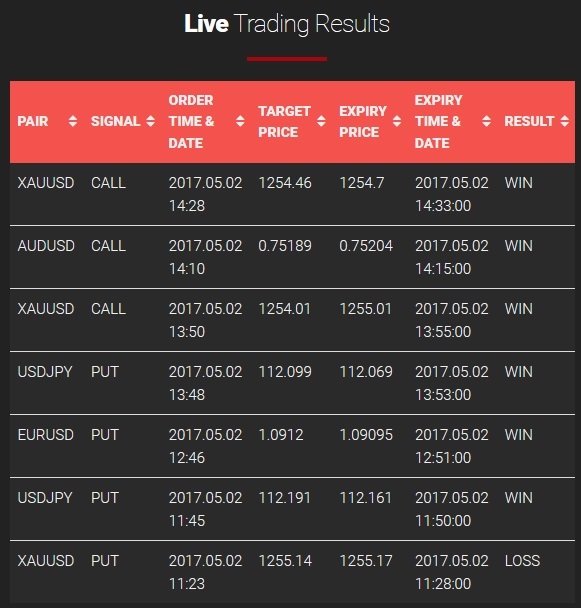 Despite the challenges, this is what good binary options trading platforms do. Not Binary IQ System, though. They use the word verification everywhere, but there is no way of knowing if this verification really took place, and who carried it out. Why would they want to hide that information if the verification was real? Or are they making up the fact they have third-party verification? There are some things we can verify. For example, Binary IQ System publishes a range of graphs and charts on its website. These are all part of its sales pitch, trying to get new traders to sign up and hand over their hard-earned money. These charts show things like profit ratios and earnings that people make while using the Binary IQ System app. These charts go back over seven years, and they look impressive. The problem is that Binary IQ System, running on the domain name binary-iq.com, has only been available for several months. How can they have years’ worth of so-called earnings data when they are only a few months old? For us, there are too many questions with this trading platform – far more questions than there are answers. One thing that all good binary options trading platforms do is build trust with traders. They do this by being honest and open, so far as possible. We don’t see much of this with Binary IQ System, however – there are simply too many anomalies. We have already highlighted one example – the fact they present charts and tables with several years’ worth of data even though the website is only a few months old (it was registered in March 2017). There is another strange thing we found in our investigations – they include trading data for 15 January 2017. That was a Sunday, though, so all markets would have been closed. How do they have trading data on a date when no trading could have taken place? The problem with the date might be a simple mistake and the historical data could have come from a previous company. This is not explained, however, which leaves the potential that Binary IQ System is a scam. We found further evidence of this when we looked in greater depth at the pay-out examples published by Binary IQ System on its website. Again, many of these were on weekends (although they have now been removed). 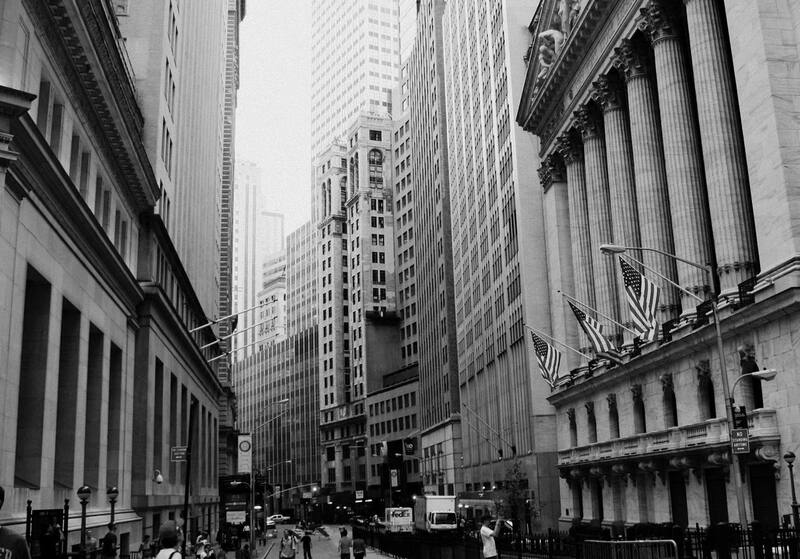 As already stated, financial markets are not open on weekends so it is simply not possible to place a trade, let alone win it to get a pay-out. 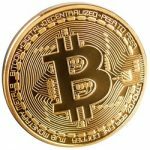 The first thing to point out when it comes to costs is that we saw different costs – one before we went to purchase the Binary IQ System app, and one when we were redirected to complete the transaction. 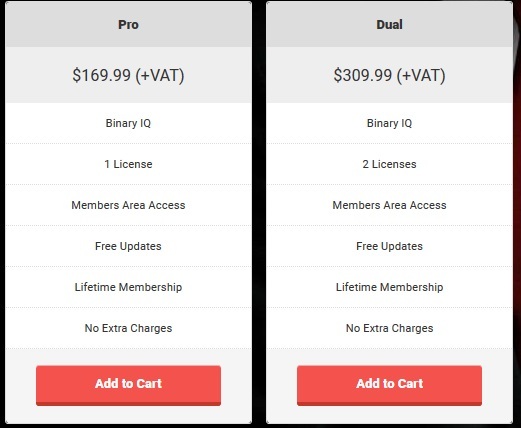 From what we can tell, however, the platform costs $170 for the pro version and $310 for what Binary IQ System calls its Dual package. It is important to remember that this only gives you access to the app. In other words, you can’t begin trading until you make an additional deposit to your broker. This is usually in the region of $250 to $300 at a minimum. For many new traders, investing over $500 before making any trades or generating any profits is not feasible. There are far too many red flags for us to be able to recommend Binary IQ System in any way. In fact, we’ve seen many things that indicate it is a scam rather than a serious binary options trading platform. Signing up with Binary IQ Software would put your money at too much of a risk. Our opinion is that it is a scam. 7 Binary Options review: Binary IQ System: 1 star.